To celebrate the launch of VINTAGE, I’m running a Glamorous Vintage Giveaway this week for anyone who purchases the book. If you pre-ordered it months ago, it still counts, assuming you still have your receipt or other proof of purchase. 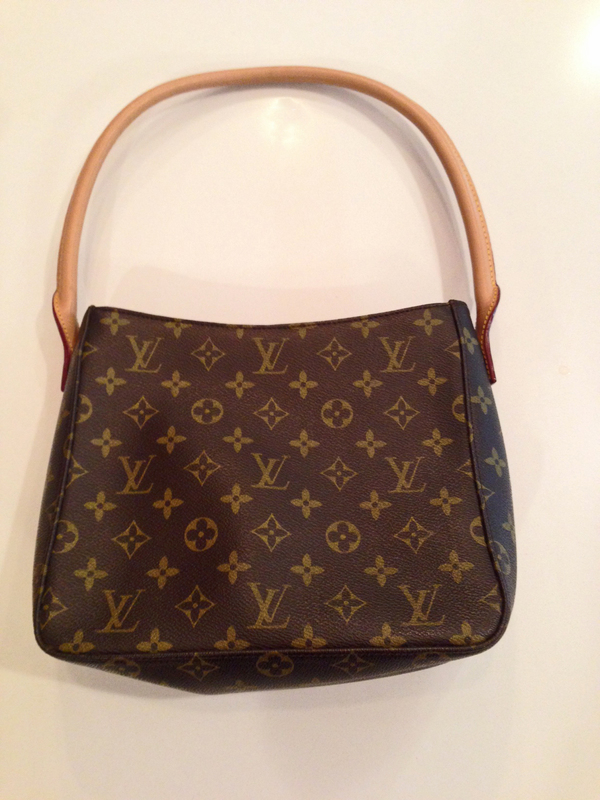 A vintage Louis Vuitton “Looping” handbag. This is a mint condition item from my personal collection, shown in the picture at right. Classic brown leather with iconic monogram. Suede interior. Includes the original felt bag with “LV” label for storage. $50 Etsy gift certificate. This can be spent anywhere on Etsy, not just at my store. Use it to buy yourself something unique and fabulous! To enter the Glamorous Vintage Givewaway, email a copy of your receipt to info@susangloss.com. If you buy more than one copy of the book, you’ll get more than one entry! A winner will be chosen at random at 5:00 PM CST on Sunday, March 30. Planning to buy the book at the launch party in Madison on March 29? No problem. Just save a copy of your receipt and email it to the address above. Good luck! Just wait! My next book takes place in Spain! The book was beautiful! I am honored to have known and hopefully taught you a little bit. So proud of you! Seniors N.
Thank you for stopping by, Melissa. I’m so glad you enjoyed it. I look forward to seeing your post! I received a copy of VINTAGE from TLC Book Tours, and finished it this morning (review goes live tomorrow), but I wanted to tell you PERSONALLY: I LOVED IT. It was exactly what I needed to read over a rainy weekend, and it reminded me of playing in my grandmother’s closet and visiting the thrift store with her – just for fun. I wish you much success with this novel, and whatever comes after it, because your writing voice feels like a chat with a good friend.